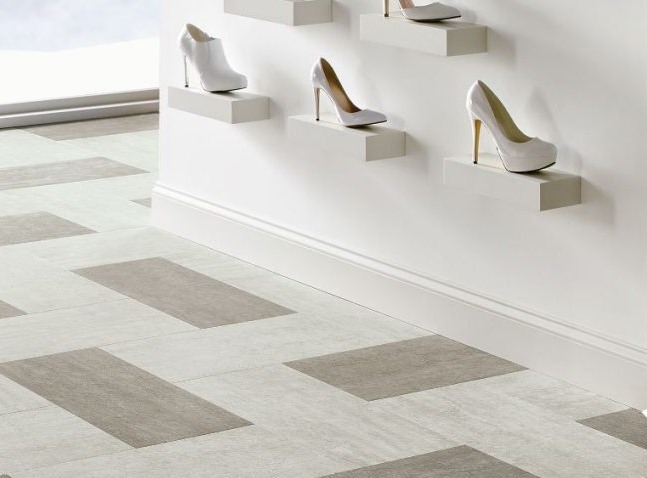 We supply and install commercial flooring to the retail, medical, leisure and hospitality, office, education, medical, industrial and housing sectors. We will ensure that you get the floor covering that is right for the application, which looks good, is safe, easily maintained and durable. Our fitters are highly skilled and proficient in fitting all types of floorcoverings ensuring a professional finish. Our services include sub floor preparation, supplying and fitting of contract vinyl, contract carpet, carpet tiles, slip-resistant vinyls and commercial stair treads and nosings. We supply products direct from the all the leading manufacturers who include Armstrong, Polyflor, Altro, Interface, JHS, Brintons, Ulster, Karndean, Amtico and many more. We pride ourselves on our ability to liaise with architects, Interior Designers and end users to design and advise on a wide variety of materials to provide cost effective practical solutions to projects.